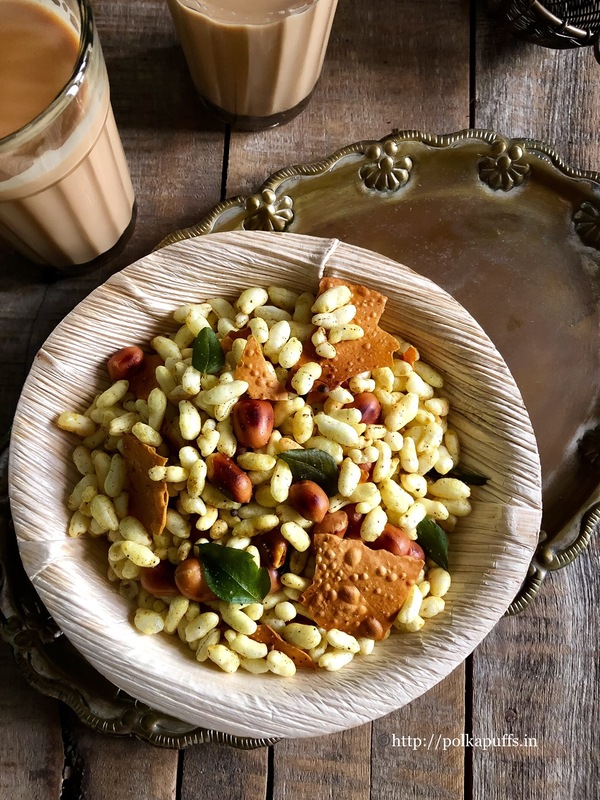 Roasted Murmura Chivda Recipe | Puffed Rice Chivda is super yummy. 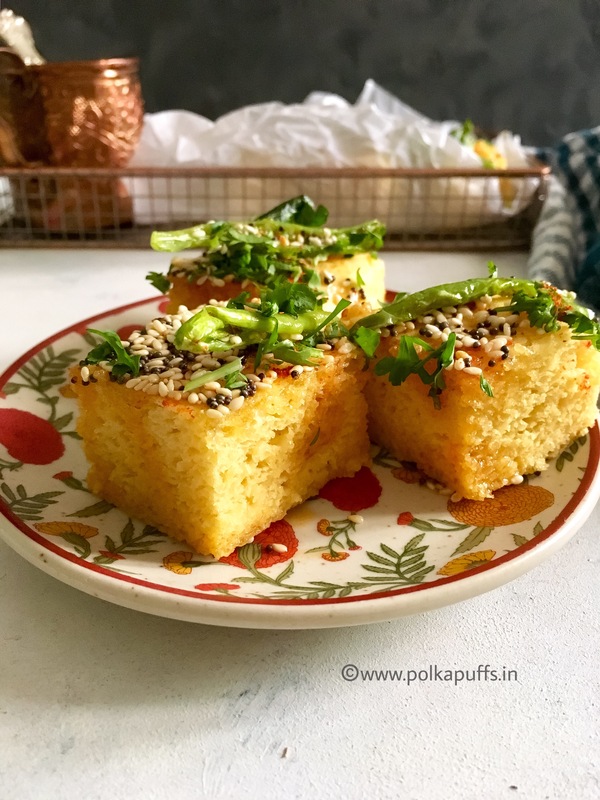 It’s so addictive, I, for one can’t seem to stop munching on this if I’ve made some of this chivda. I make a large batch thinking it will last me a week or more, but I seem to finish it within 2-3 days! I guess the only reason why I particularly love this chivda is because it barely has any oil as opposed to the store bought variants. The store bought chivdas are a strict no for me, simply because find them oily and too salty. 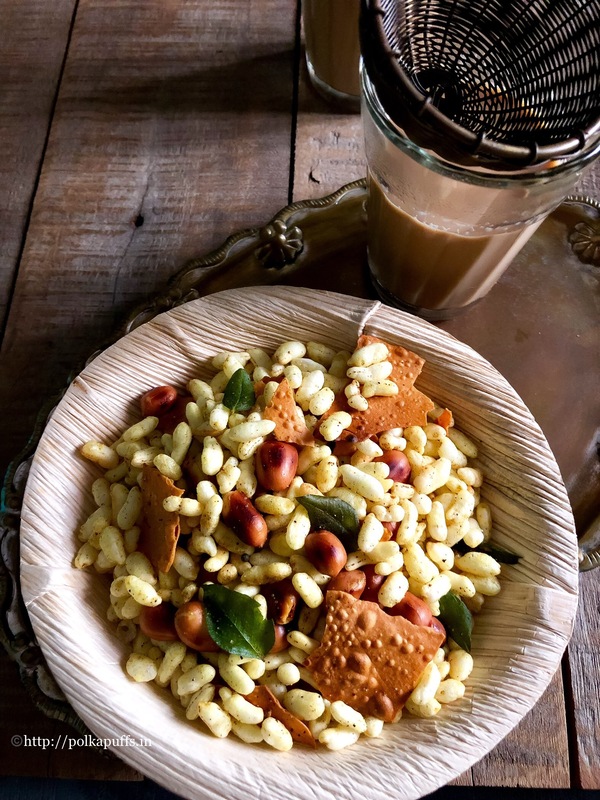 My Roasted Murmura Chivda Recipe | Puffed Rice Chivda on the other hand is light as air! 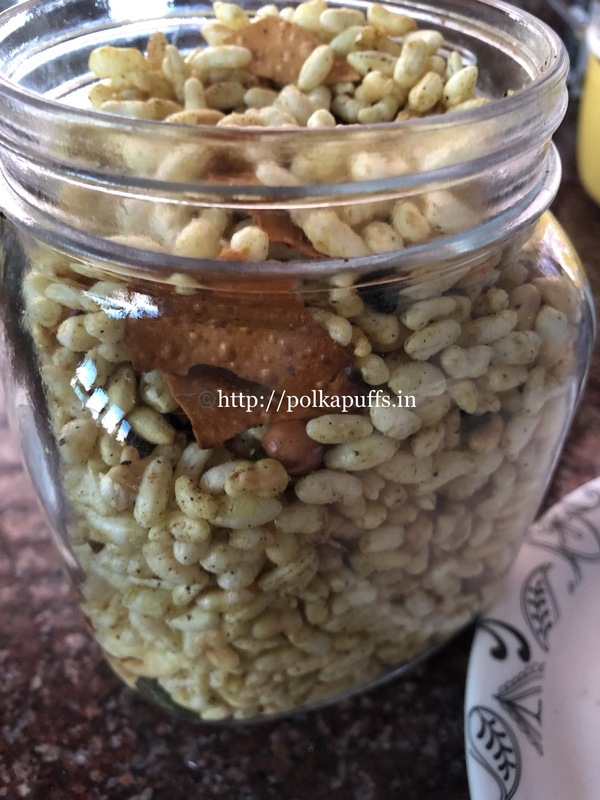 Roasted Murmura Chivda Recipe | Puffed Rice Chivda is actually a family recipe. I’ve simply followed what my Mom instructed me to go on adding to make this chivda. I’ve been eating it since I was a kid, first at my maternal granny’s place because my aunts made the best chivda ever! Then my Mom would make the same thing back home too. So, I had to learn to make it post my marriage simply because I missed it! 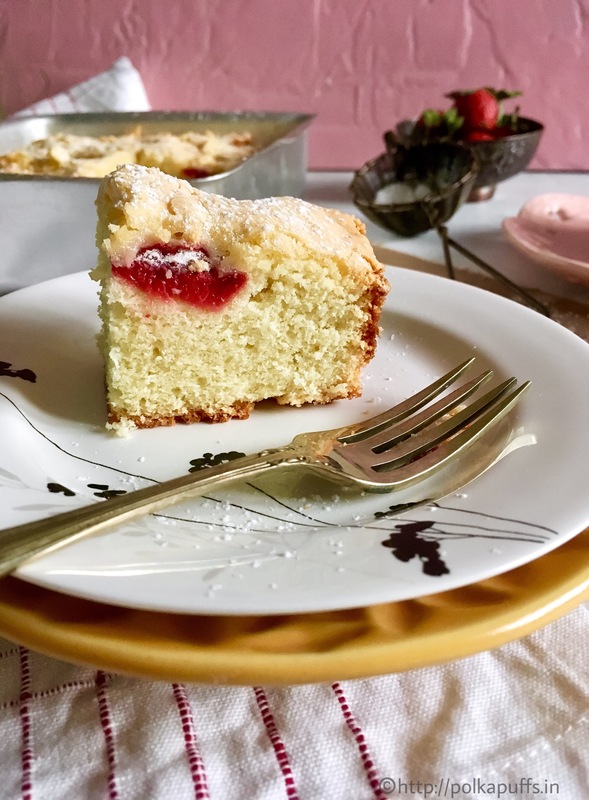 After I had made it a couple of times, I realized that is easier to make this than kneading a dough! 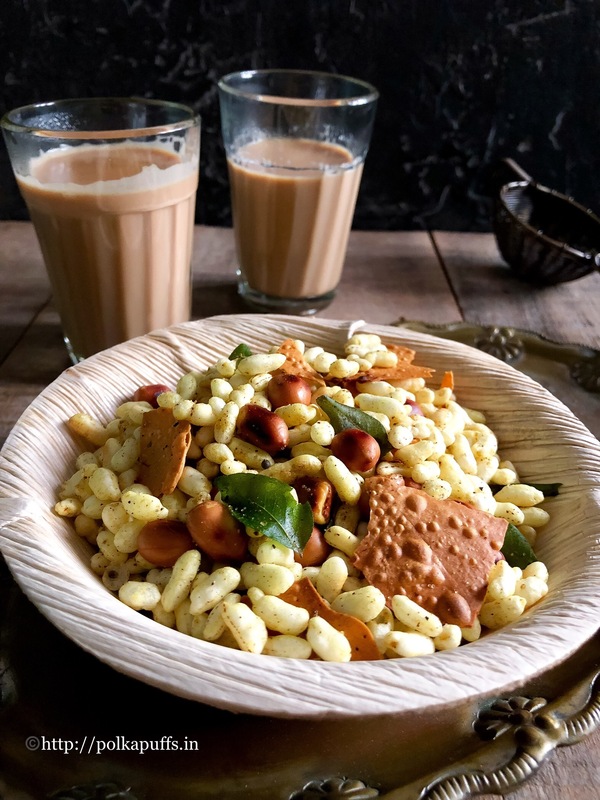 Roasted Murmura Chivda Recipe | Puffed Rice Chivda can made in many ways. Every family has a different recipe even if they differ ever so slightly!! The thing is I have reduced the additives or the munchies that can go in this chivda or trail mix. Simply because the more munchies I needed to add meant the more frying it involved. That definitely meant all the more oil! So I stick to munchies that can be pan roasted, but if you have an air fryer then you can add any number of fryums, munchies, etc. I don’t so I refrain from going over with them. 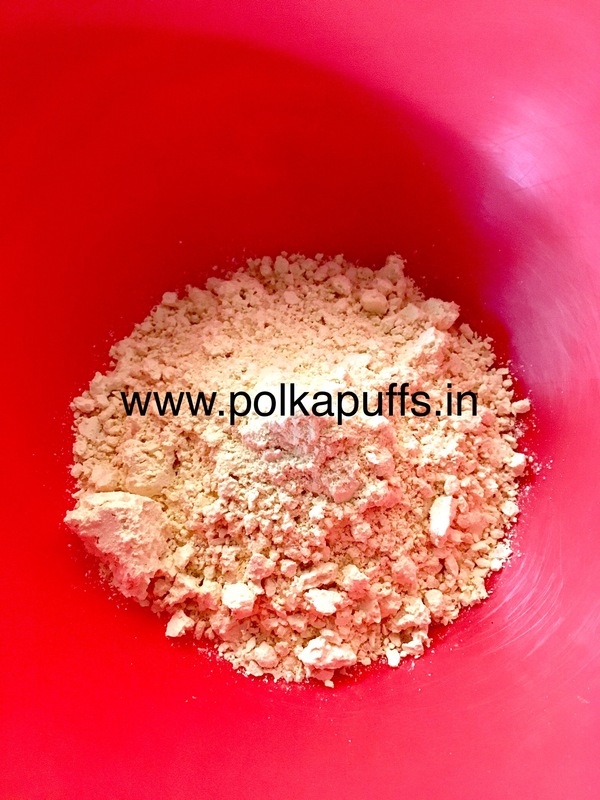 Sieve the murmura/ puffed rice once. Heat a large heavy bottomed wok. 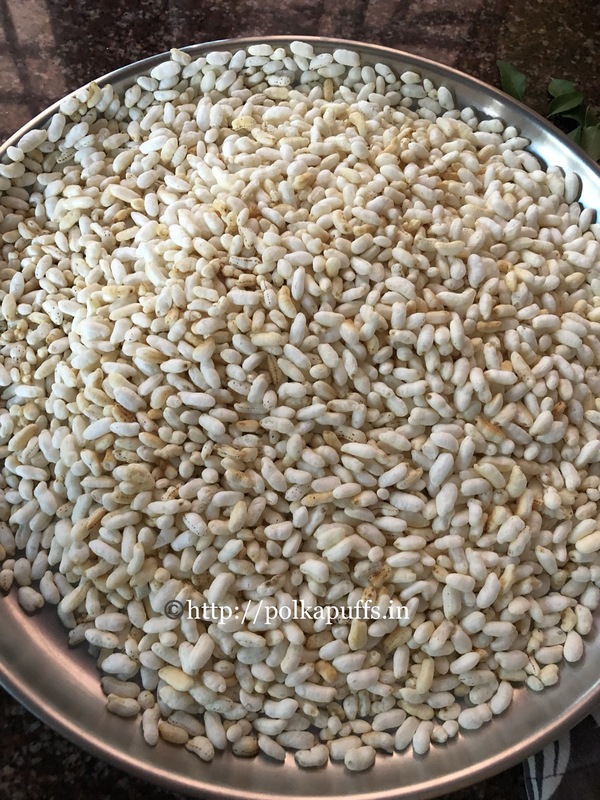 Dry roast the sieved murmura/ puffed rice until golden and crisp. This takes about 7-8 minutes on low flame. 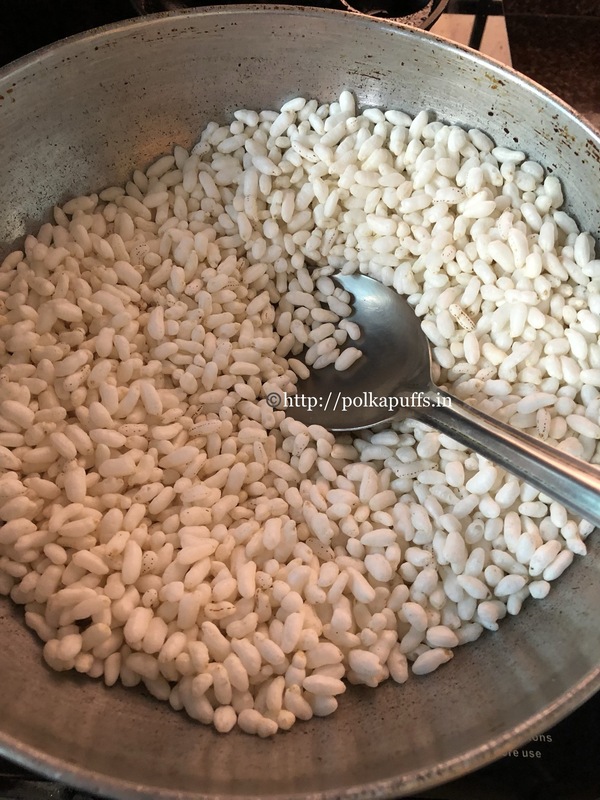 Remove the roasted murmura/ puffed rice in a plate and set it aside. 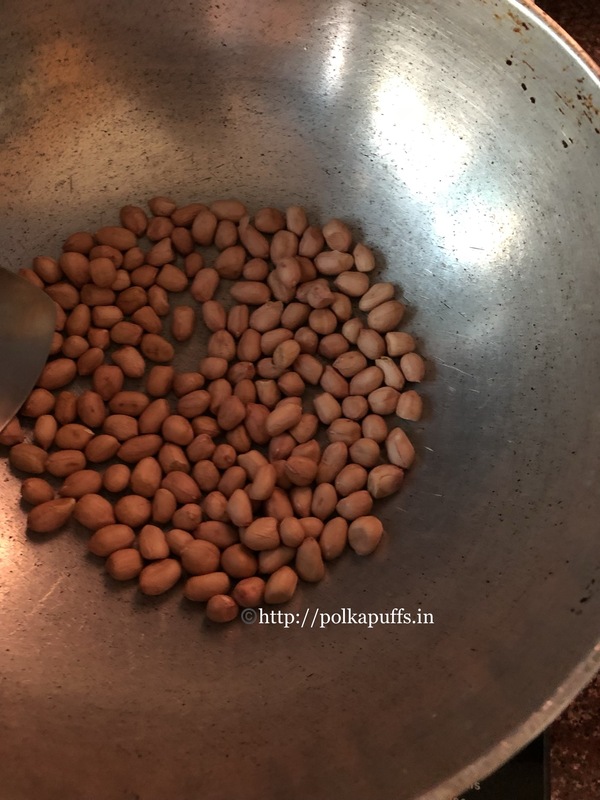 In the same wok, dry roast peanuts until slightly brown and crunchy. 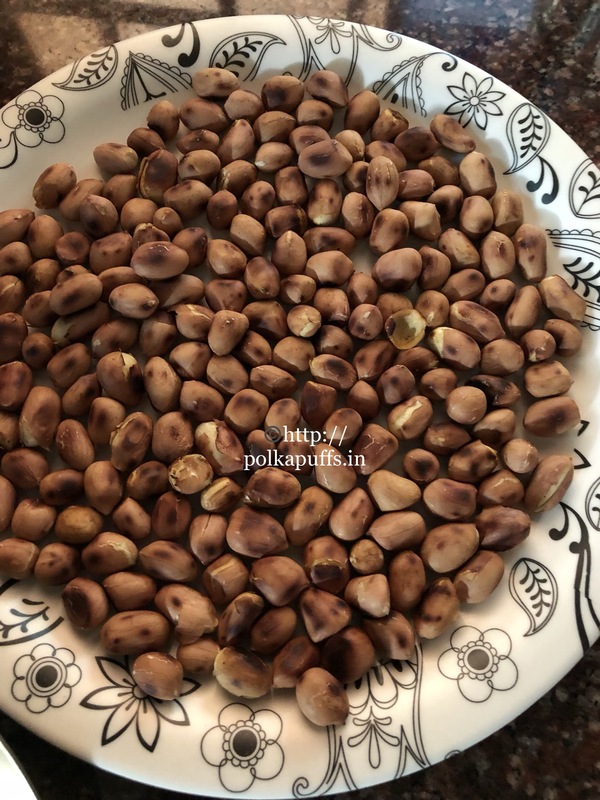 Remove the roasted peanuts on a plate and set them aside. In a pan, brush some oil and roast the papads/ poppadums’ until golden. Set the roasted papads/ poppadums’ aside too until they crisp up. Let them cool down then break them into bite sized pieces. Now, heat the wok again and add oil. Once the oil is hot, reduce the flame to medium. Add hing/ asafoetida, cumin seeds and mustard seeds. Let them crackle. Next add turmeric powder and curry leaves. Let these crackle too for a few seconds. Next, add the roasted peanuts. Mix well. Then add salt to taste, red chili powder, kala namak/ Himalayan pink salt and chaat masala. Mix well. Add the papad/ poppadum pieces. Mix gently and avoid breaking them. 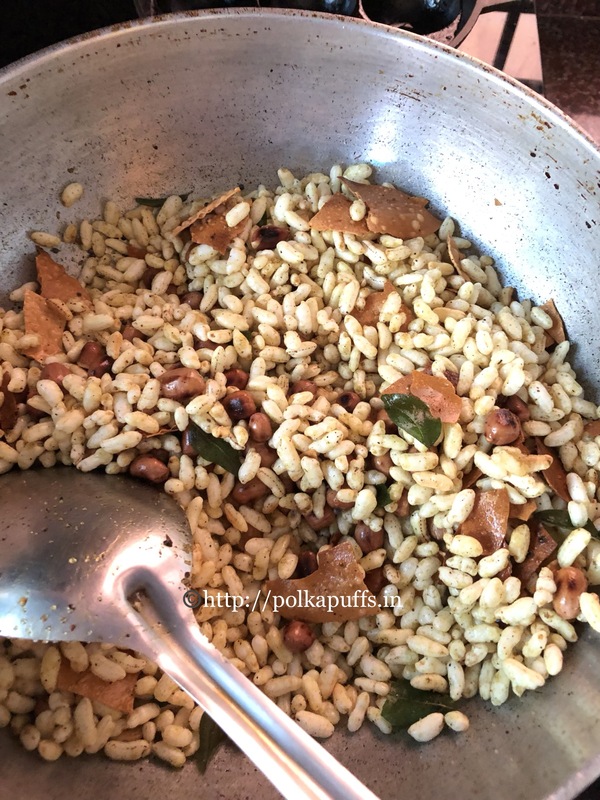 Add the roasted murmura/ puffed rice in the end and mix everything well until the masala/ spices coats everything well. Turn off the flame. Let this chivda/ trail mix cool down completely in the wok. Transfer it into a clean and dry glass jar or a stainless steel/ airtight container. It keeps fresh for 3-4 weeks if the container is kept tightly closed and away from humidity. You can add more fryums, potato sticks, etc. to this chivda/ trail mix if you like. 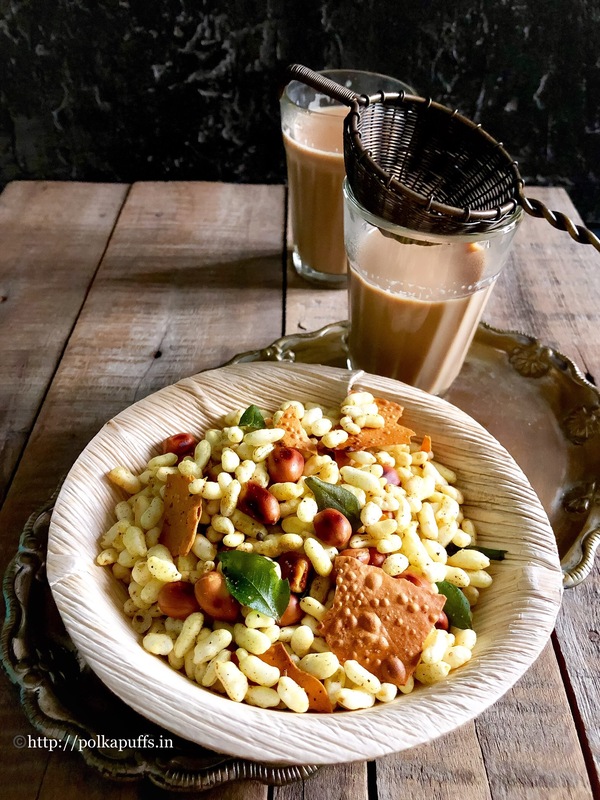 Roasted Murmura Chivda Recipe | Puffed Rice Chivda is a non fried, easy to make snack for Diwali, Holi or for everyday tea time munching. In a pan, brush some oil and roast the papads/ poppadums' until golden. Set the roasted papads/ poppadums' aside too until they crisp up. Let them cool down then break them into bite sized pieces. I’m a big fan of all kinds of delicious chaats. Just the thought of having Chaat makes my mouth water! 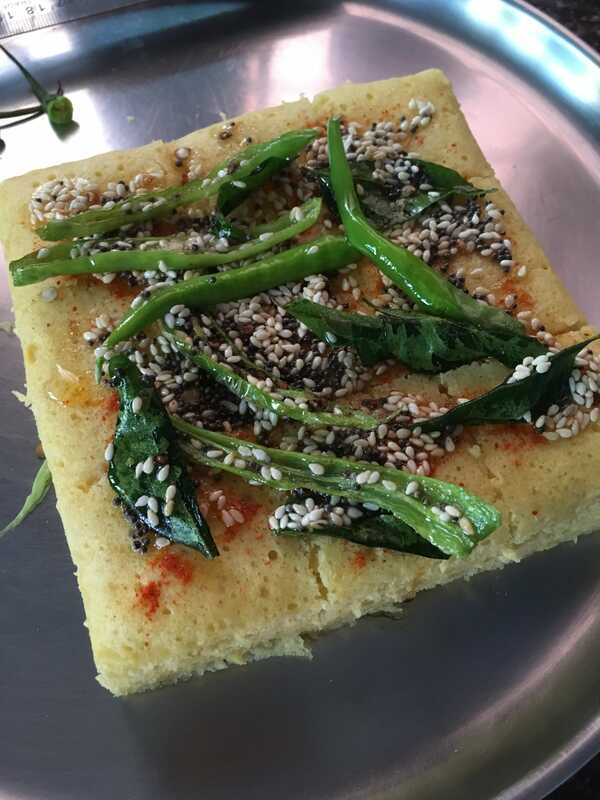 Being from Mumbai, I’m constantly having street food and the spicier the better. 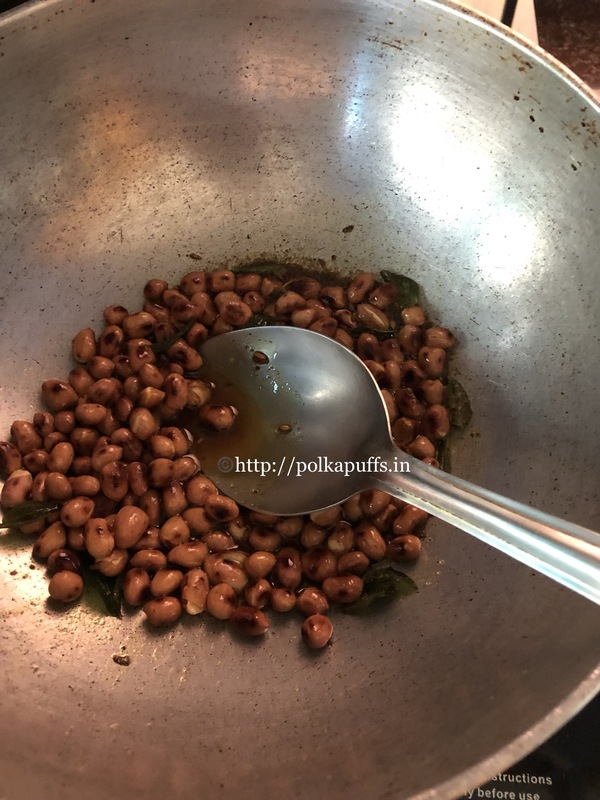 Sev Puri, Bhelpuri, Ragda Pattice, etc. are my favorites. I guess everyone loves having these and won’t say no to a bite or two..hehe!! Clean and soak the tamarind in some water for 2 hours. Then, drain the water and mash the tamarind through a sieve to collect the pulp in a bowl. 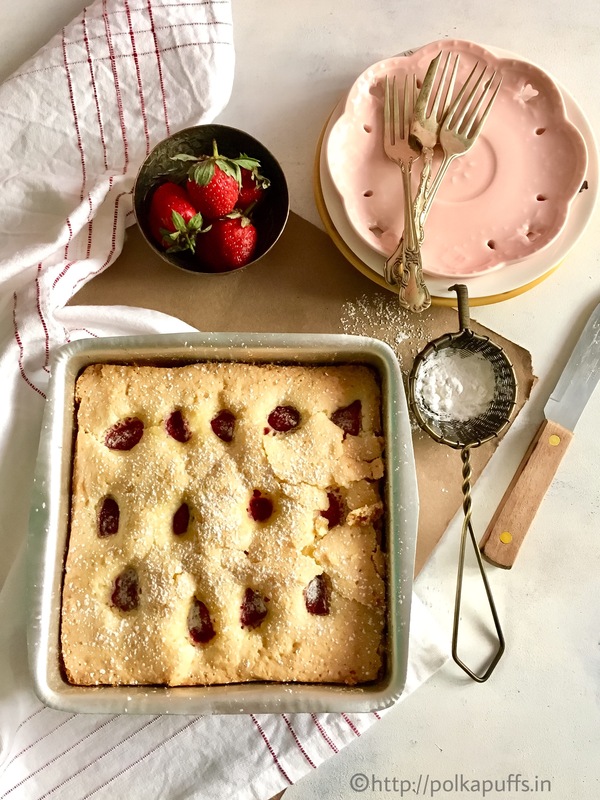 Heat a non stick pan. Add the tamarind pulp to the pan. 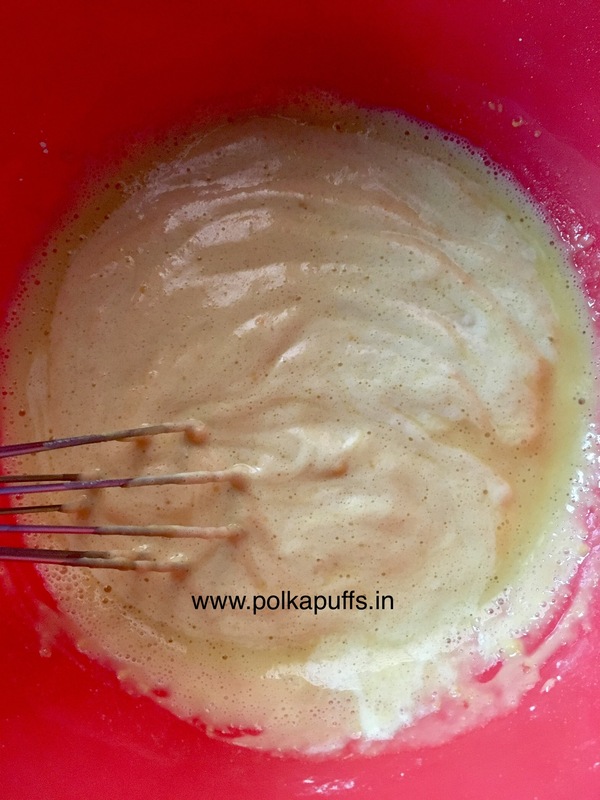 Cook the pulp for 5 minutes, stirring all the while. Once it comes to a gentle boil, add sugar, roasted cumin powder and red chili powder. Also, add a pinch of hing (asafoetida). Keep stirring while the pulp comes to a boil and thickens as the sugar melts. Add salt to taste at this point and mix well. Cook for another 5-8 minutes. Turn off the flame. Cool the chutney completely before storing in clean glass or porcelain bottle. This chutney can stored in refrigerator for up to a month. Clean and wash coriander and mint leaves. Drain all the water well. Add them to the blender jar. Along with the greens, in goes the salt, garlic cloves, lemon juice, ginger, green chilly and the Dalia. Add a tbsp. or so of water and blend until smooth. Store the chutney clean glass or porcelain bottle. 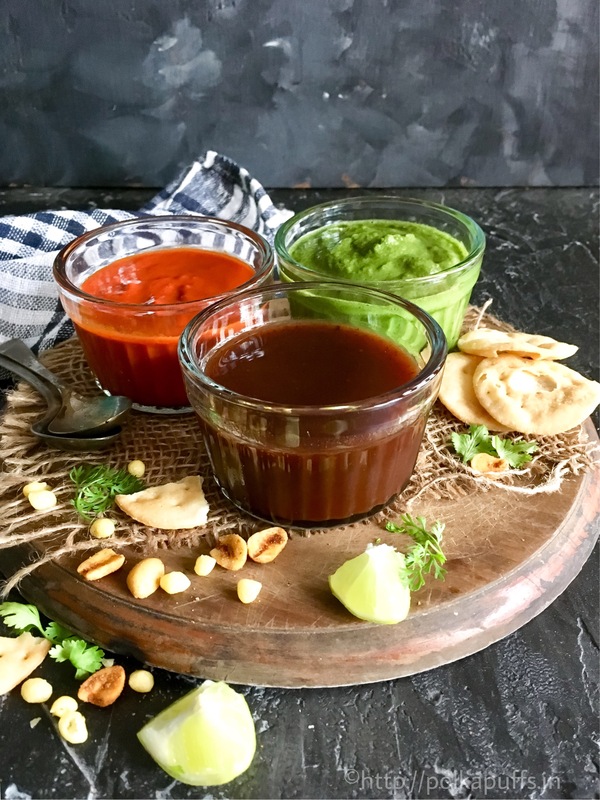 This chutney can stored in refrigerator for up to 3-4 days. Deseed and destem the dried red chilies. Soak them in warm water for a minimum of 30 minutes. Drain the chilies and add them in blender jar. Also add garlic pods, lemon juice, salt and ginger to the blender jar. Add 5-6 tbsp. or so of water and blend until smooth. Store the chutney clean glass or porcelain bottle. This chutney can stored in refrigerator for up to 10 days. 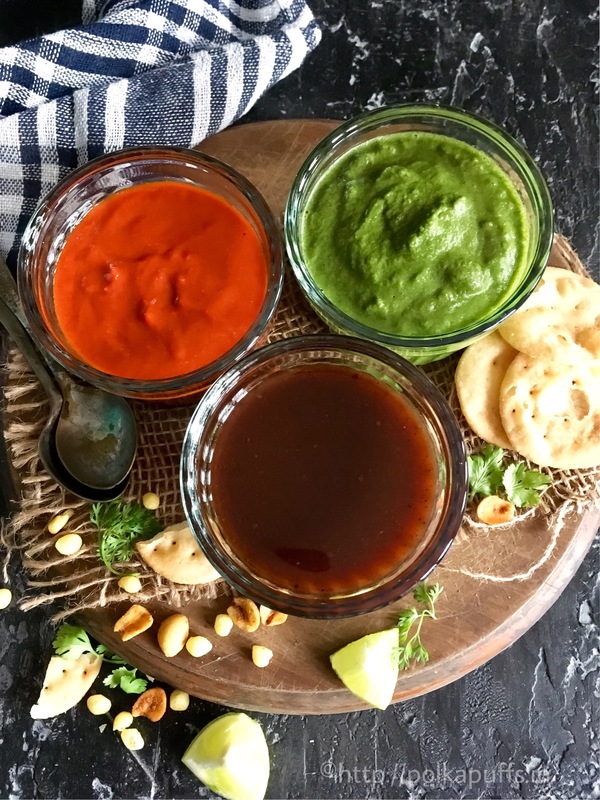 Learn How to make Chutney for Chaat and Sev Puri at home with easy ingredients and enjoy a variety of lip-smacking street food at home! Clean and soak the tamarind in some water for 2 hours. Then, drain the water and mash the tamarind through a sieve to collect the pulp in a bowl. Heat a non stick pan. Add the tamarind pulp to the pan. Cook the pulp for 5 minutes, stirring all the while. Once it comes to a gentle boil, add sugar, roasted cumin powder and red chili powder. Also, add a pinch of hing (asafoetida). Keep stirring while the pulp comes to a boil and thickens as the sugar melts. Add salt to taste at this point and mix well. Cook for another 5-8 minutes. Cool the chutney completely before storing in clean glass or porcelain bottle. This chutney can stored in refrigerator for up to a month. Clean and wash coriander and mint leaves. Drain all the water well. Add them to the blender jar. Along with the greens, in goes the salt, garlic cloves, lemon juice, ginger, green chilly and the Dalia. Add a tbsp. or so of water and blend until smooth. Store the chutney clean glass or porcelain bottle. This chutney can stored in refrigerator for up to 3-4 days. Deseed and destem the dried red chilies. Soak them in warm water for a minimum of 30 minutes. Drain the chilies and add them in blender jar. Also add garlic pods, lemon juice, salt and ginger to the blender jar. Add 5-6 tbsp. or so of water and blend until smooth. Store the chutney clean glass or porcelain bottle. This chutney can stored in refrigerator for up to 10 days. 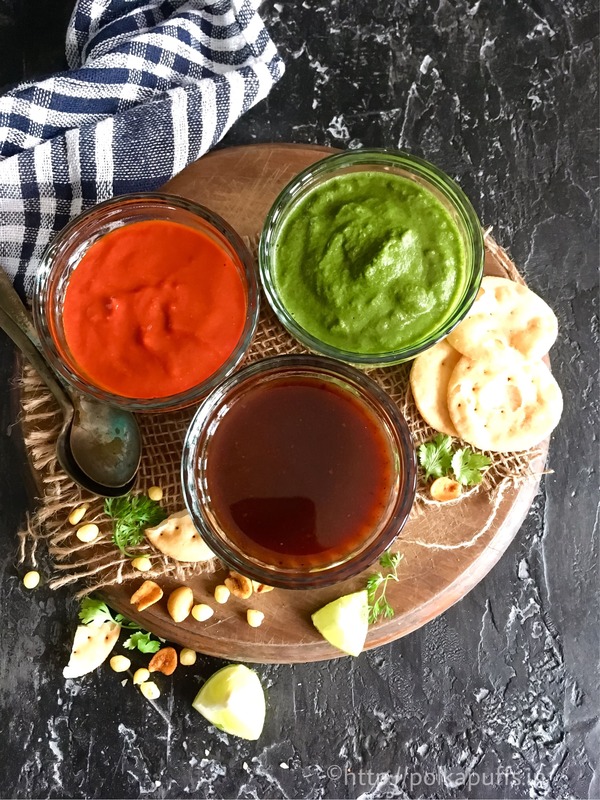 Store these chutneys in clean and dry glass bottles or porcelain jars. Adjust the spiciness and the sweetness as per your preference. Do not keep a metal spoon in the jar with chutney as that will discolor the chutneys. Why is the filling like Pizza McPuffs, you’d ask me…simply because I love the flavour bomb that is inside a McPuff. 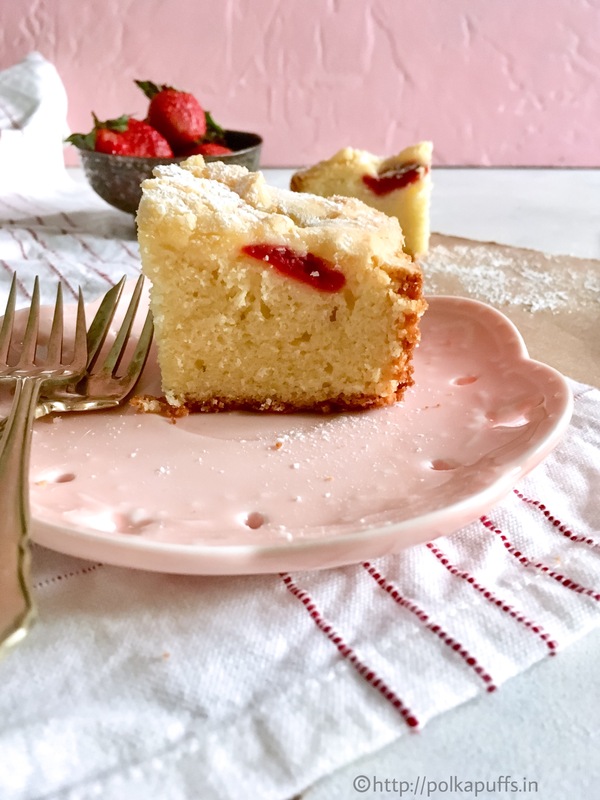 It’s so creamy and yet light, perfection in every bite! But I always wanted to make that in Puff Pastry version. So I did. 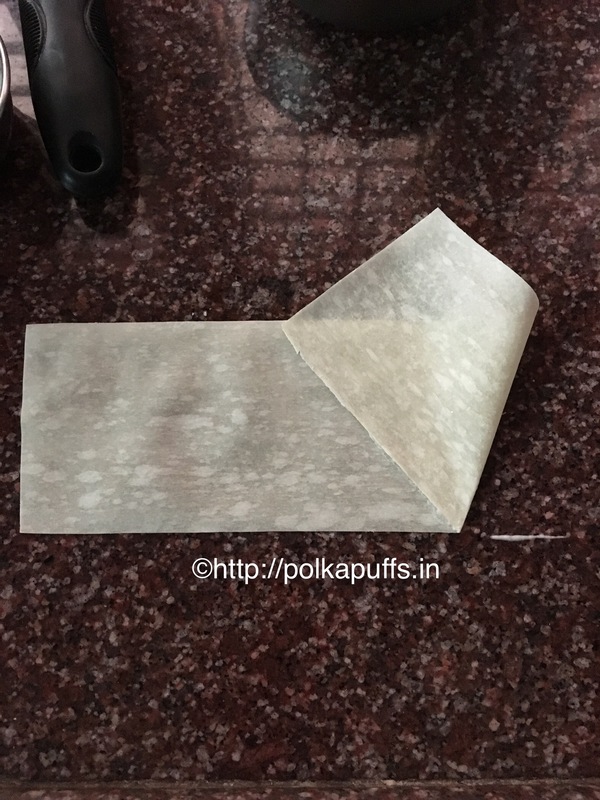 Making the Puff pastry sheet at home is quite a task..trust me! The rolling, the folding, and repeating the steps at least 10-12 times is a challenge that may or may not give you perfect results. 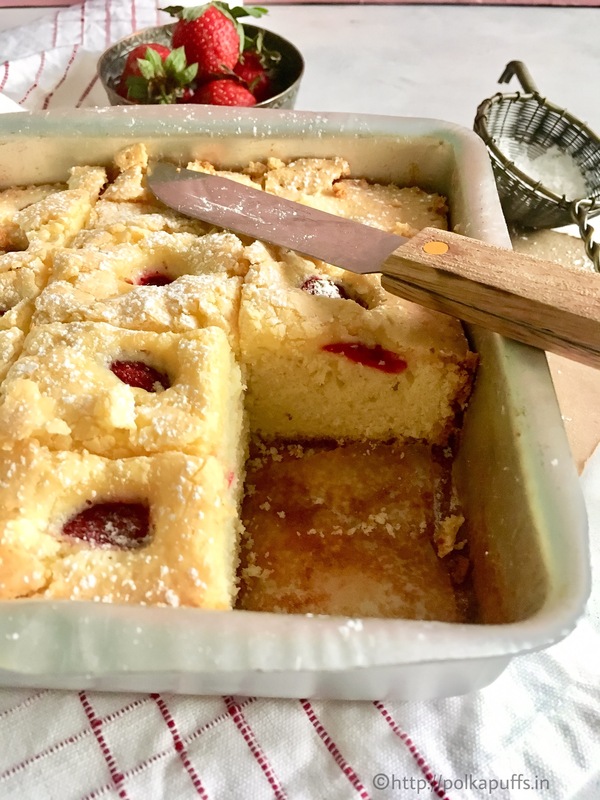 I have used ready to use sheets which I always keep in my freezer when I need to whisk quick snacks or pies even! They are handy and absolutely perfect. 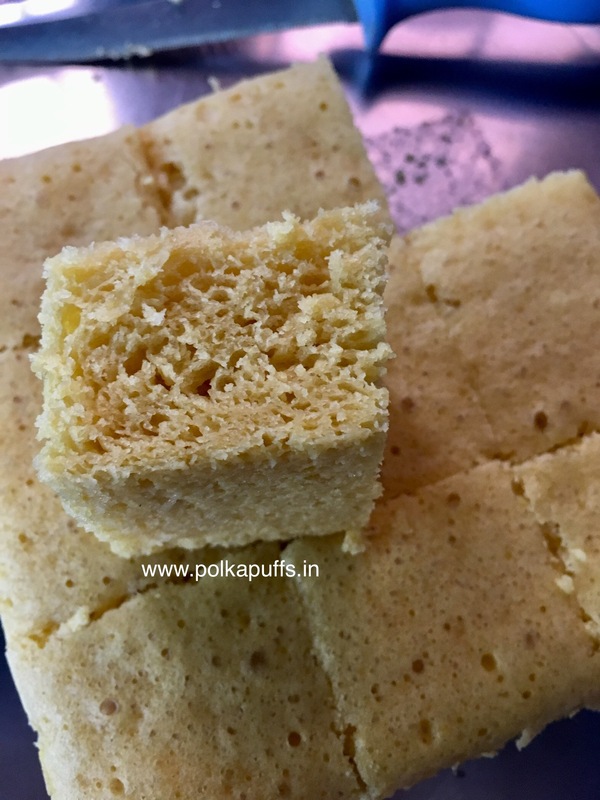 But there are few tips on using them that I will share here along with the recipe for the McPuffs filling. Firstly, always buy a frozen pastry sheet which has a manufacturing date closer to the date you are buying it. Say for example, if you are shopping for this on 15 Jul 2016, the manufacturing date should nothing older than 01st June 2016. That way, you will get the freshest product. 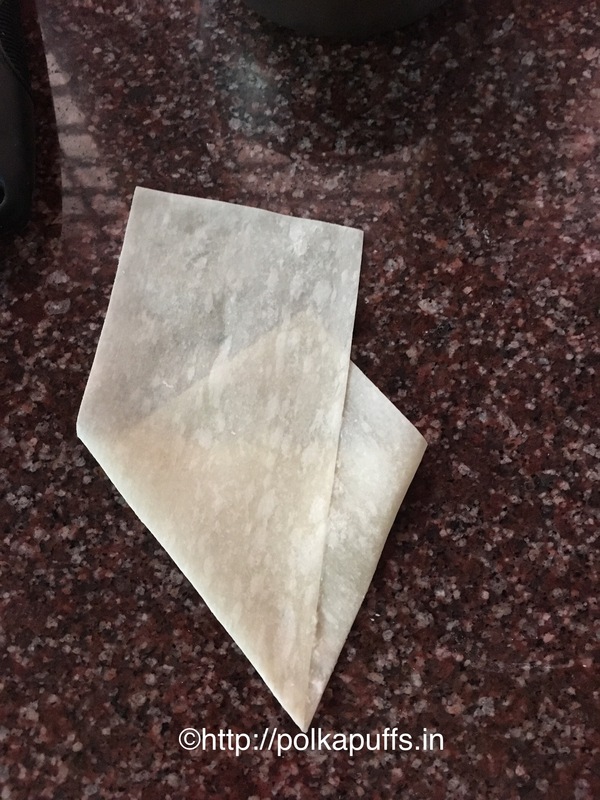 Thawing a frozen pastry sheet, it is crucial to know how you thaw (bring a frozen pastry sheet to room temperature) them. Every package once opened cannot be refrozen. To thaw, place the frozen pastry sheet roll at room temperature for about an hour. It also depends where you are, say if the climate is humid, it will soften faster and the same goes for the other way around too. 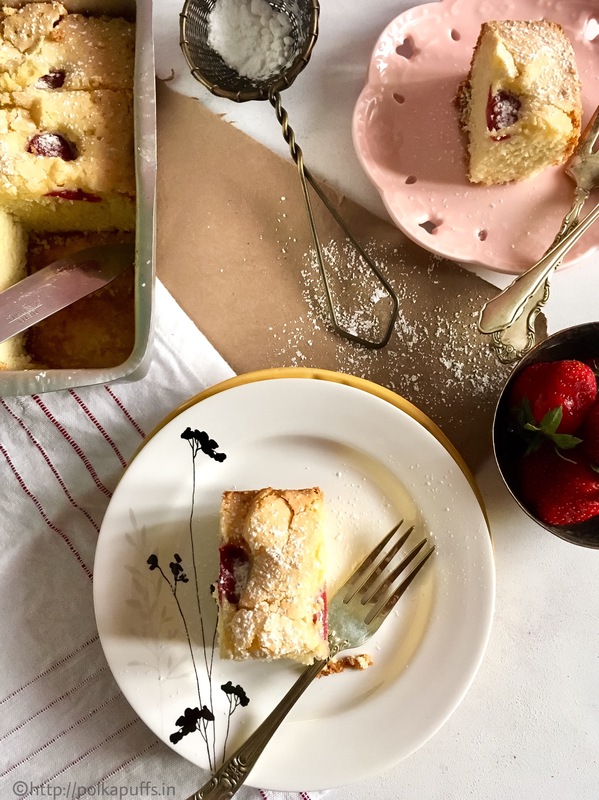 Equipment: a baking tray, cooling rack, a knife, a fork, a small pan, measuring cups/ spoons, pastry brush. Heat oil in a pan, add the chopped veggies. Season with salt & pepper. Mix well & sauté for 3-4 mins. Next, add ginger garlic paste, turmeric, red chilly pwd and Italian herbs. 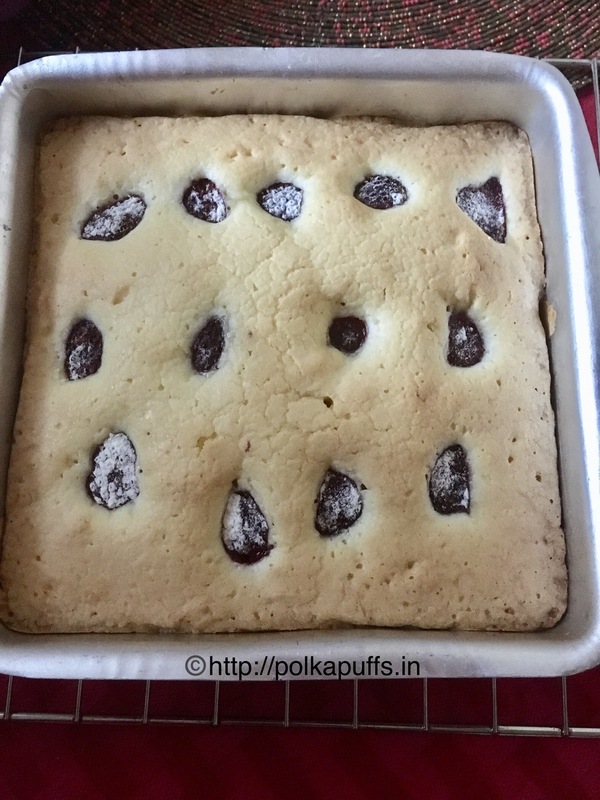 Mix well and cook for 5 mins. Now turn off the flame, add cream and ketchup. Mix well. Set the ready filling aside to cool for a few mins. 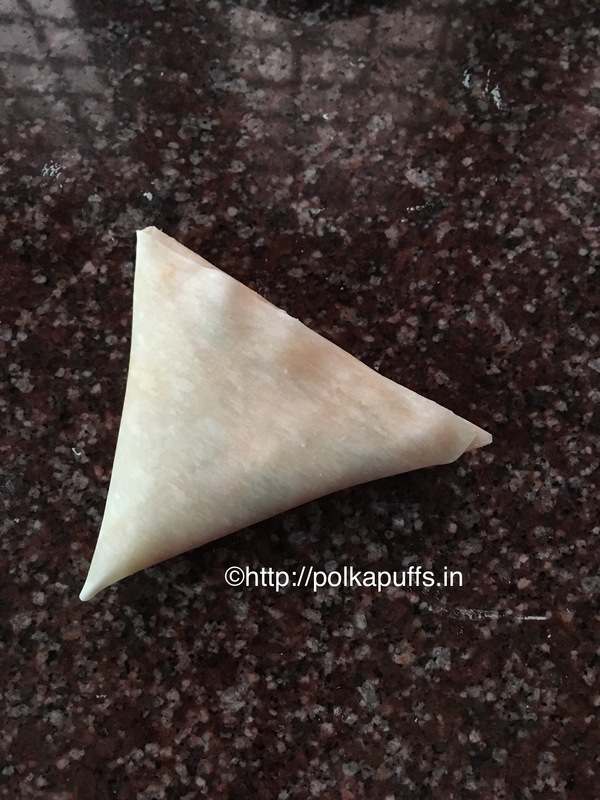 Lay the thawed pastry sheet and cut the pastry into pieces as per your choice. 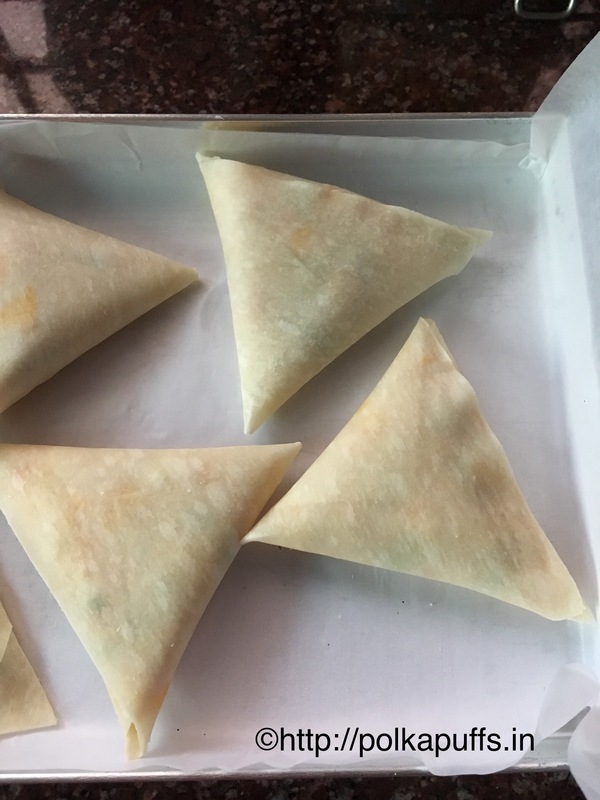 Place the filling in the centre and close the pastry from the other side as shown below. 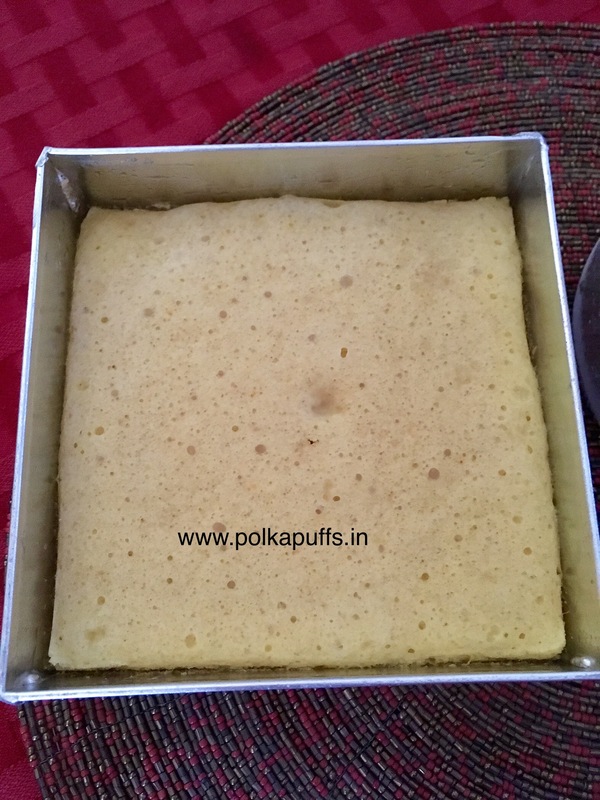 Use a fork and press down the edges to secure the filling within the puff. Make small incision on top of every puff and brush them with oil. 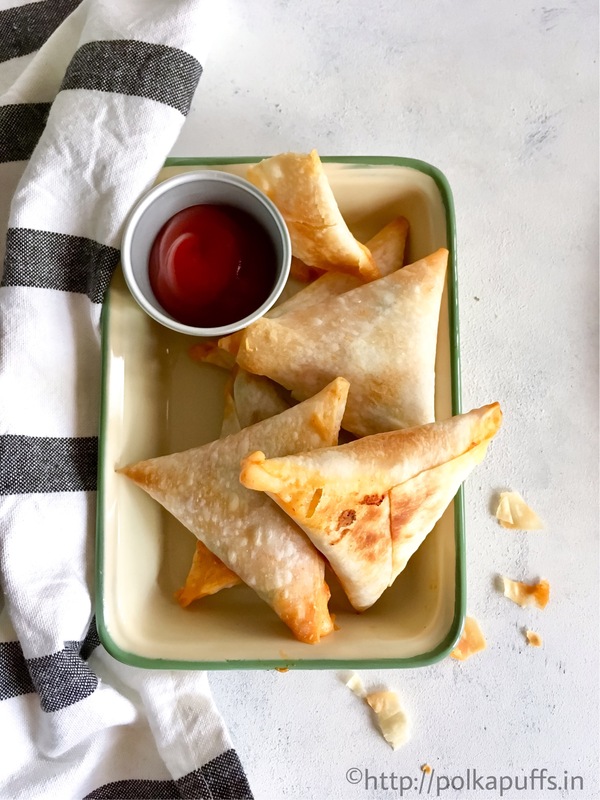 Place the ready to bake puffs in the refrigerator for 10 mins to firm up, that way they get perfect flaky layers once baked. They will start turning brown on the top as they puff up, so keep an eye on them as they bake. Once done, remove from the oven and place the them on the cooling rack for a few mins to cool them a bit. Serve warm/ hot with ketchup. I am game for a pizza at any hour of the day! Sounds familiar….obviously! Most of us are…I can’t imagine someone who isn’t, literally. The gooey cheese oozing with every bite is just too tempting to deny. Calories.? ?😱😱 Well, give it a rest…indulge your tastebuds…and they don’t matter much when pizza can fit in a cup! 😉😉Portion control! 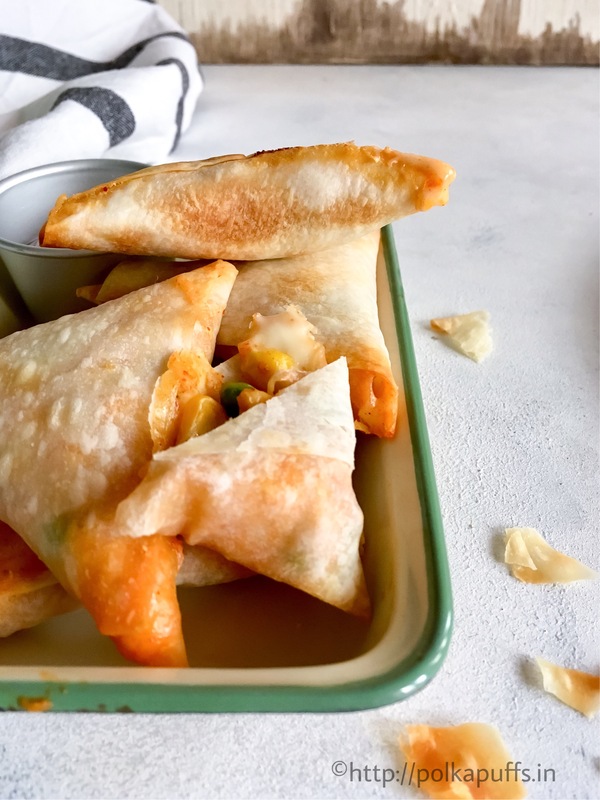 Remember my Pizza Pinwheels…they were super hit! I mean…I have made them so often. They make for a great finger food just like the Bread Pizza I’d shared. Coming to these Cups, well they are made using readymade Tortillas (someday, I will share how to make Tortillas at home😀) and can be put together in a jiffy. 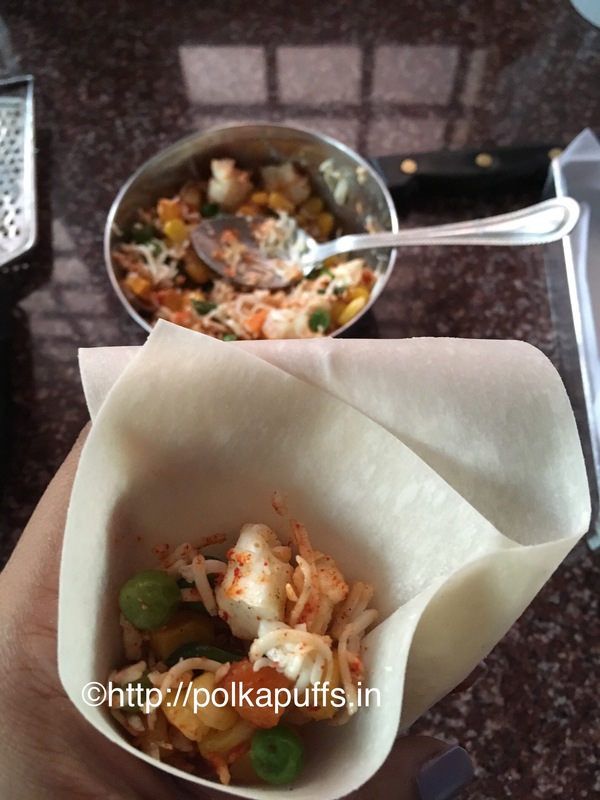 One can add veg or non-veg filling or just keep it simple with some cheese & pizza sauce (kid friendly). In fact, involve your kids…they’ll be so excited. 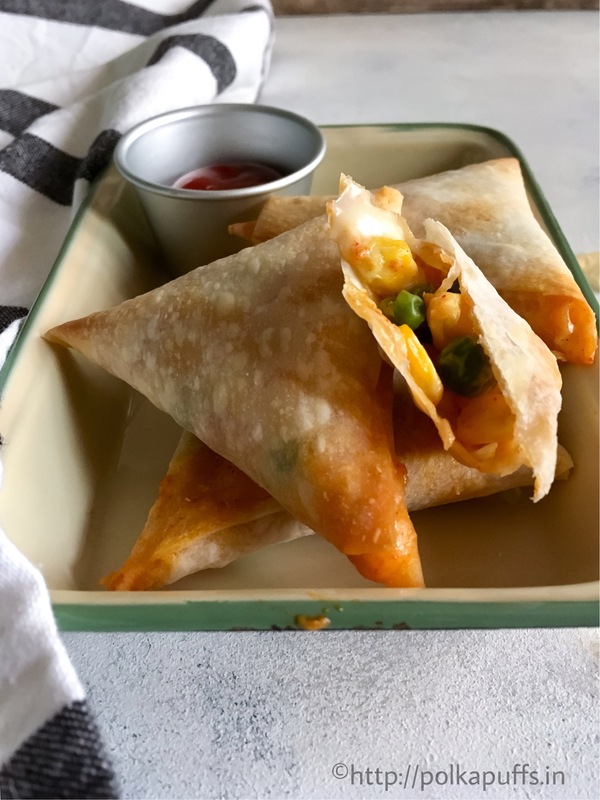 I will let you in on a quick tip here, these are perfect for portion control as I have said above too and if you do not have Tortillas then simply use Parathas and follow my recipe! They will taste just as good! 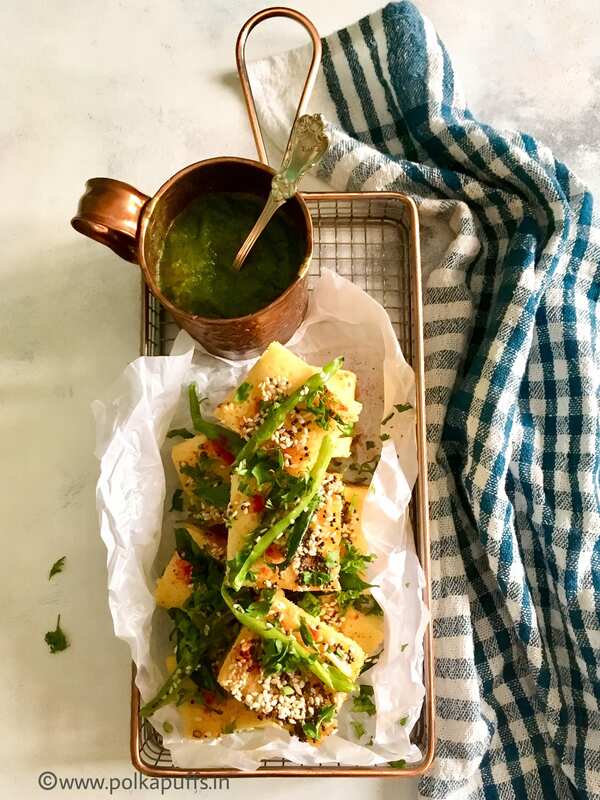 Cut circles from the tortilla sheets using a round cookie cutter or any object with a sharp edge. You will get 4 rounds from 1 sheet. Place the cut rounds in the muffin tray and apply the pizza sauce. Add the veggies and cheese next, season with salt & pepper. 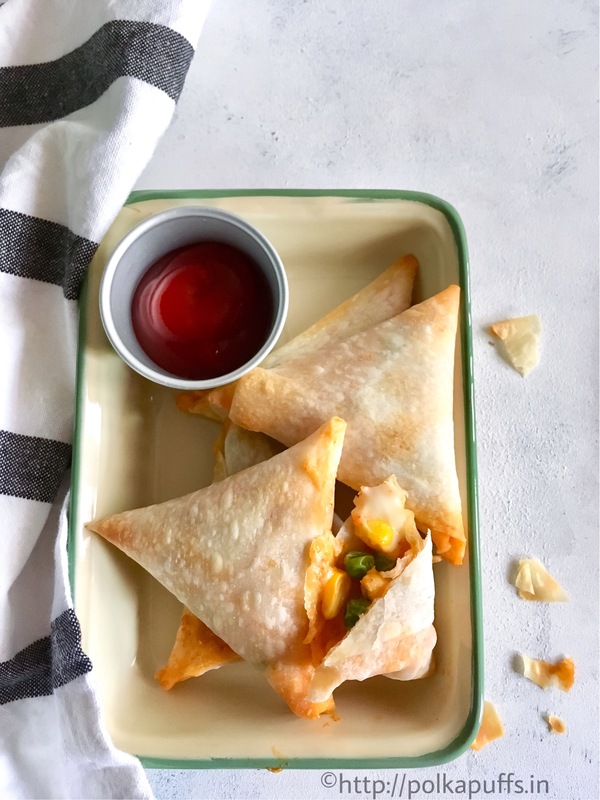 Bake them @180’c for 7-8 mins or until the cheese melts and the tortilla cups turn a bit crisp from the edges. Serve them hot with some ketchup. Don’t they look so tempting!? Tandoori food also happens to be a hot favorite between my hubby and I. Smoky, crisp & full of robust flavours! 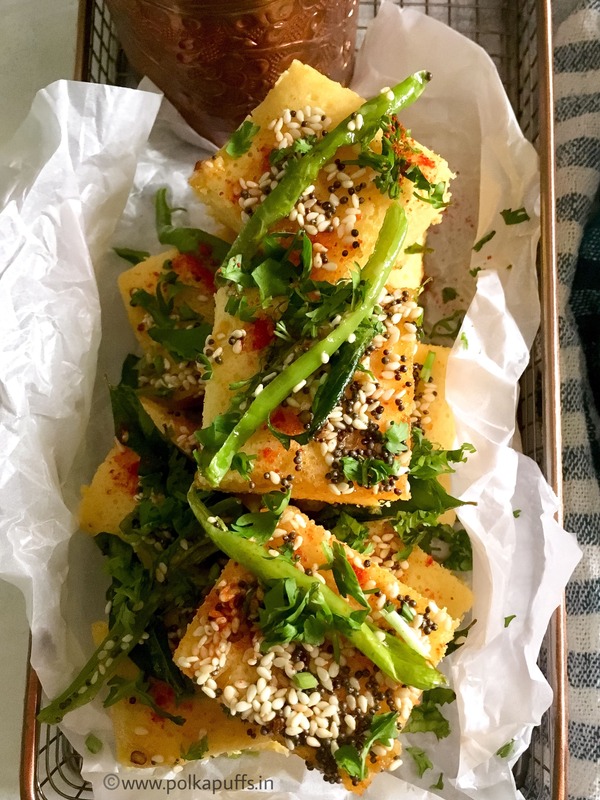 I try to incorporate these flavours in a lot of dishes I make at home…including my Aloo ke Parathe😊 In Delhi and other parts of North India too, tandoori style Parathas are famous as street food and taste best when slathered with loads of butter….sluuurppp! Although, I don’t have a gas tandoor like most homes have (it occupies too much of space and I really don’t need it😉😉)….I manage to get that smokiness just right with my Naans and Parathas 👌🏼👌🏼 One simple …no fuss, easy and quick trick and I am sorted! Also, I must say my Mom’s recipe for the aloo (potato) stuffing is just out of the world…lipsmackingly good! 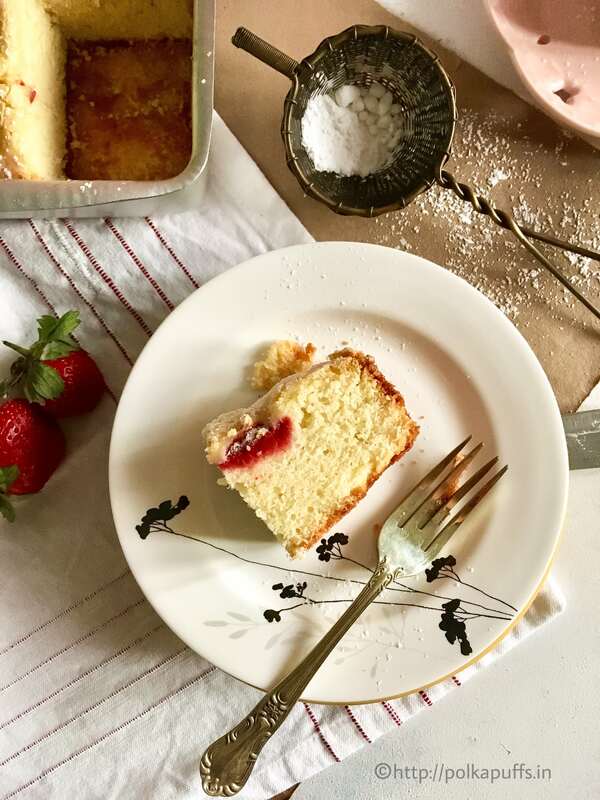 Equipment: rolling board, rolling pin, measuring cups/ spoons, a large bowl, a small bowl. 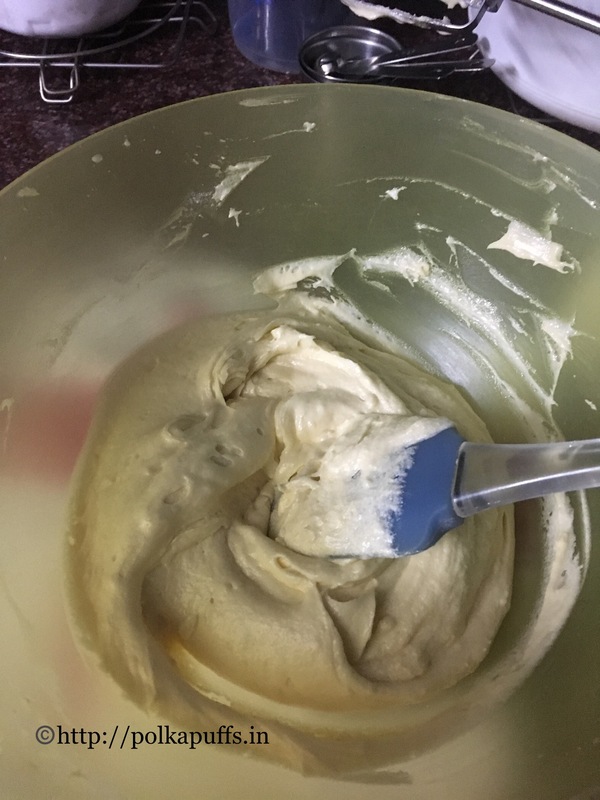 Mix all the dry ingredients with ghee in a large bowl. Slowly add water and make a very soft and pliable dough. Add some more ghee if needed to smoothen the dough. Cover the tough and set it aside for atleast 30 mins. In a small bowl, mix all the above ingredients well. That’s the stuffing ready. 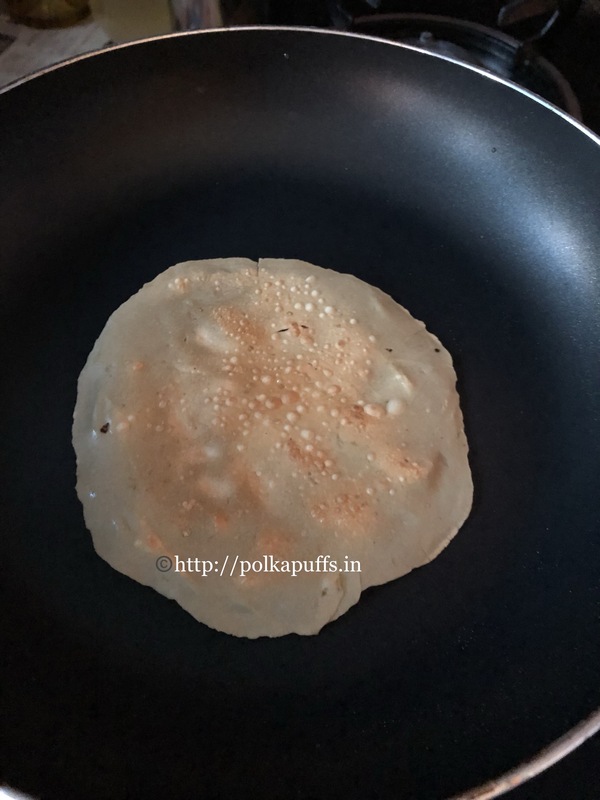 Let’s proceed with making the Parathas, make small balls of the dough and stuff them like we do as usual for any stuffed paratha. Roll them out evenly. Next, cook them on a non-stick pan on both sides, grease with some ghee or butter. Wow….this is just irresistible!! Some green chutney or a bit of pickle..and I am sorted! Equipment: a wok, a griddle/ non-stick pan, measuring cups/ spoons. Slit all the Pav horizontally, butter them on all sides and set them aside. 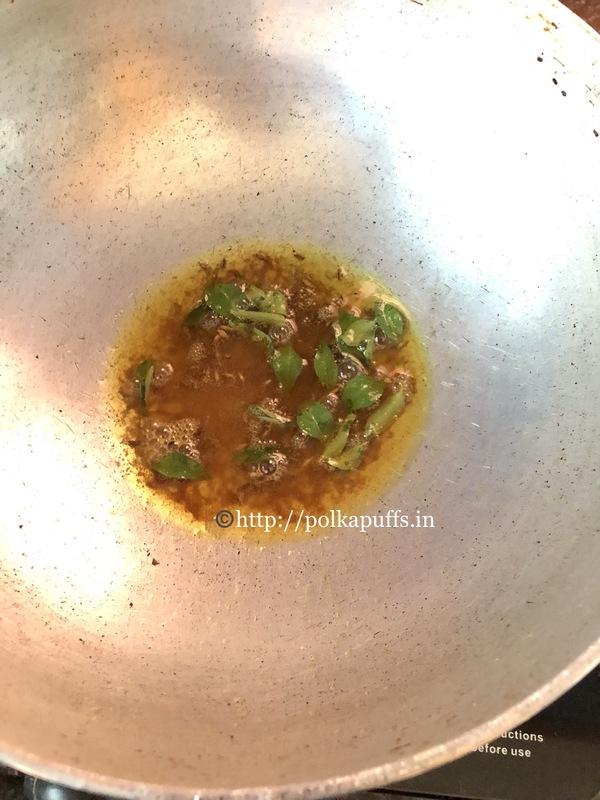 Heat oil in the wok, once it’s hot add the onions, green chilli, ginger- garlic paste. Sauté until the onion turns golden. Then add the capsicum and cook for a few mins until it turns soft. Season with salt and add the remaining spices along with the Pav Bhaji masala as well. Mix well and add the tomatoes. Now cover and cook until the oil seperates. You can add some water if the cooked mixture looks dry, about 1/2 cup or so. Turn off the flame. 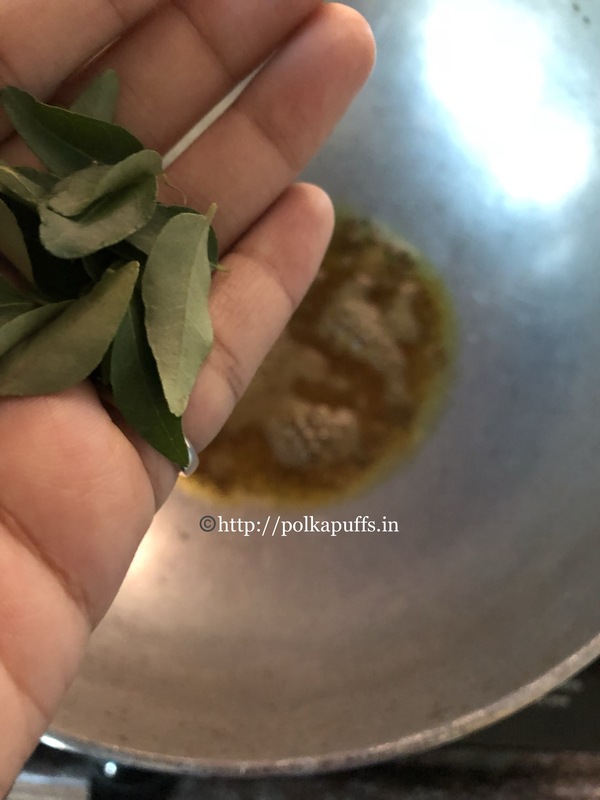 To assemble the Masala Pav, add butter to a hot pan, place the buttered Pav in the pan and add the prepared mixture and coat the Pav well with it. Cook for about 2-3 mins. 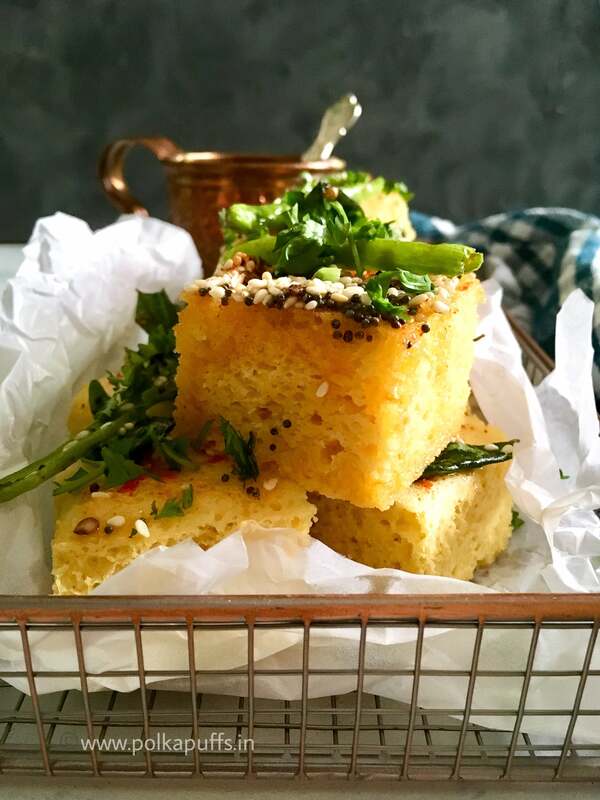 Serve hot with some lemon juice and garnish with chopped coriander leaves!